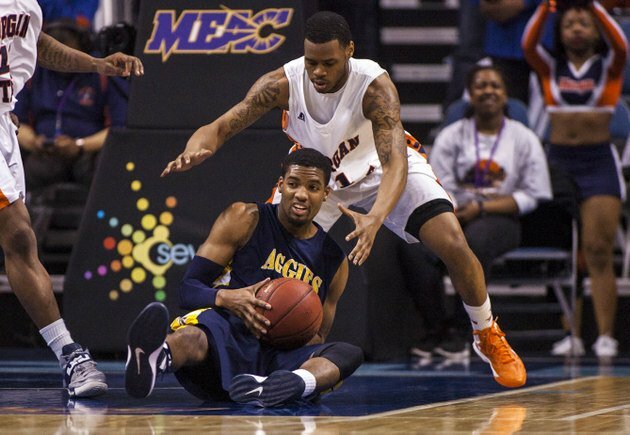 Somebody had to win the 2013 Mid-Eastern Athletic Conference Tournament and it end, it was the seventh seed that came out on top as the Aggies of North Carolina A&T defeated the Bears of Morgan State to win the automatic berth, 57-54. This is the first tournament berth for the Aggies since 1995, fitting that this was also their first winning season in 15 years and they had to slow down a red hot Morgan State club to do it, one that had won their last eight games. NC A&T was led by forward Adrian Powell, who had 14, and guard Lamont Middleton, who had 13.